Are adjustable beds worth it? That is what we are going to take a look at in this article. Historically, adjustable beds have only been used in medical settings, but nowadays, there are a variety of adjustable beds available on the consumer market, often paired with high-end mattresses. Let’s take a look at the positives and negatives of adjustable beds so you can come to an honest decision. What Do You Recommend If I Do Not Want To Get An Adjustable Bed Frame? What Adjustable Beds Do You Recommend? Adjustable beds come with a whole host of great features, which is why more and more people are deciding to get them at their home. The adjustable nature of the frame can help with a variety of issues such as snoring, sleep apnea, back pain, poor circulation, and more. Additionally, they allow you to relax in your bed and read, watch television, and more in a much more comfortable manner. Many high-end adjustable beds come with a variety of awesome additional features such as massages, USB ports, wireless remotes, and more. These are all features that a traditional bed frame just can’t compete with. When of the most overlooked features with an adjustable bed is that you are always in control of your sleeping position. 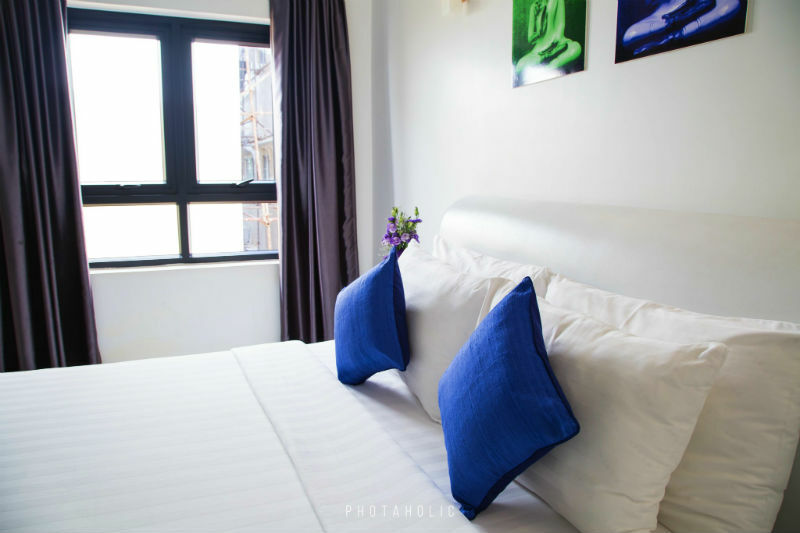 This may sound obvious, but oftentimes, it can be easy to overlook the main purpose of an adjustable bed and get distracted by all of the great features they provide – massages, USB ports, wireless remote controls, etc. Adjustable beds are worth it to ensure that you are always comfortable while you sleep. This can have a tremendous effect on the quality of your sleep, which can have a rippling effect throughout your life. This alone makes an adjustable bed a worthy investment for many people. Some adjustable beds come with a split down the middle that allows for each person to individually dial into their own specific needs and comforts. These can include the incline, firmness, and more depending on the bed. This is a tremendous benefit that traditional mattresses simply can not compete with. For younger people, adjustable beds can just a luxury that provide a ton of great features. However, for older folk, adjustable beds can actually help provide a lot of freedom and mobility. 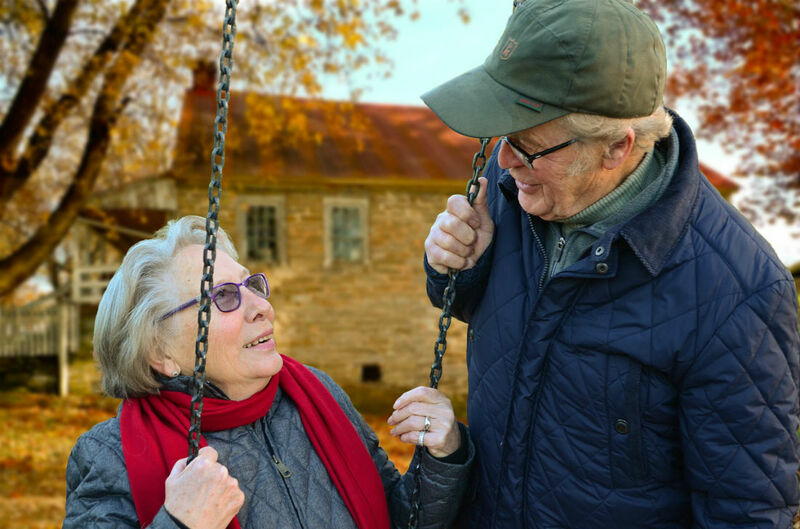 In this case, we believe that adjustable beds completely make sense because without one, an elder persons quality of life can be severely hampered. Check out our article on the adjustable beds for seniors for more information. 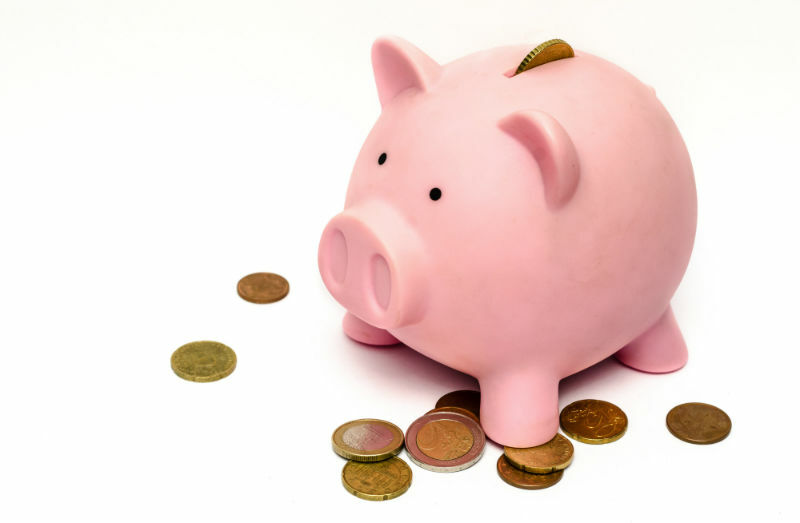 After reading about all of the great features that adjustable beds come with, it should come as no surprise to you that they simply tend to cost more than a traditional, non-fancy mattress. This is not necessarily a bad thing, since will all of these high-end features you may sleep better, which can help boost your overall quality of life. We view a high-end adjustable bed as an investment, and that means spending more upfront for great comfort and care in the future. One of the biggest complaints that many people have about adjustable beds is that they require more maintenance and repair work than a traditional mattress setup. This is due to the mechanical nature of the bed frame, which allows for all of the great benefits of adjustable frames but increases the complexity. If you are planning on procuring an adjustable bed, expect to have to get it professionally repaired at least every few years – this includes the electrical components and the motor. When people refer to adjustable beds sometimes they are referring just to the bed frame, and other times they are referring to both the mattress and the bed frame as a set. Because of this, it is crucial to look at exactly what you are purchasing, whether it is just the bed frame or a full set. If you are just looking at an adjustable bed frame, keep in mind that the current mattress you are using may not work with the new set up. Consult the manufacturer’s directions to make sure that your mattress will work with your new setup. Many adjustable beds can weight up to 700 pounds with a mattress, which means they are extremely heavy. This means that they can be extremely difficult to move around, and you also need to make sure that your flooring can handle this immense weight. It also tends to limit you to a specific area since they are difficult to disassemble, so make sure you are happy with where your bed is currently set up. There are a number of important features to look for if you are considering picking up an adjustable bed frame. Weight Capacity: Some adjustable frames can handle up to 800 pounds or more of weight. Some can handle only 400 pounds, which can be problematic. A Reputable Manufacturer: It can be tempting to simply look for the lowest cost adjustable bed, but sometimes this means you are doing business with a sketchy company that may not make the best product. Make sure you do your research ahead of time and only purchase an adjustable bed from a high-quality, reputable manufacturer. The Right Materials: Some companies use aluminum or other cheap parts to make their frames. We recommend looking for companies that use steel – this ensures a sturdy base. Good Aesthetics: It may sound silly, but aesthetics matter. An adjustable bed is an investment and you are going to spend a lot of time sleeping in it – make sure it looks good to you. Programmable Positions: This ensures that you can set your mattress up the way you want it. Easy Assembly: Adjustable bed frames are much more complicated than traditional frames. Check with the manufacturer to see if they provide easy to follow assembly directions, or even better, assisted assembly. A Return Policy: Adjustable beds are expensive, and you may not pick out the right one with your first go around. Check and see if the adjustable bed you are looking at has a return policy so you can test one out without worry. One thing you can do if you want many of the same benefits that an adjustable bed frame provides is to get a wedge pillow. Wedge pillows work by allowing you to sleep in an elevated, sloped position, much like you are sleeping on an adjustable bed frame. However, wedge pillows are generally available for a fraction of the cost of a full adjustable bed set. Additionally, if you do not want to purchase a wedge pillow, you can try and simply prop yourself up using regular pillows. Keep in mind that this won’t be nearly as effective as a wedge pillow or an adjustable bed frame, but it will be free assuming you already have the pillows on hand. Think about your own specific needs and come to the answer that is right for you. Compare all of the benefits (high-end features, adjustability, USB chargers, comfort) with the added costs and decide for yourself. As you can imagine, there are a ton of adjustable beds that are on the market with a ton of different features, styles, and prices. Check out our article on the best adjustable beds for seniors to get an idea of what adjustable beds we recommend most. 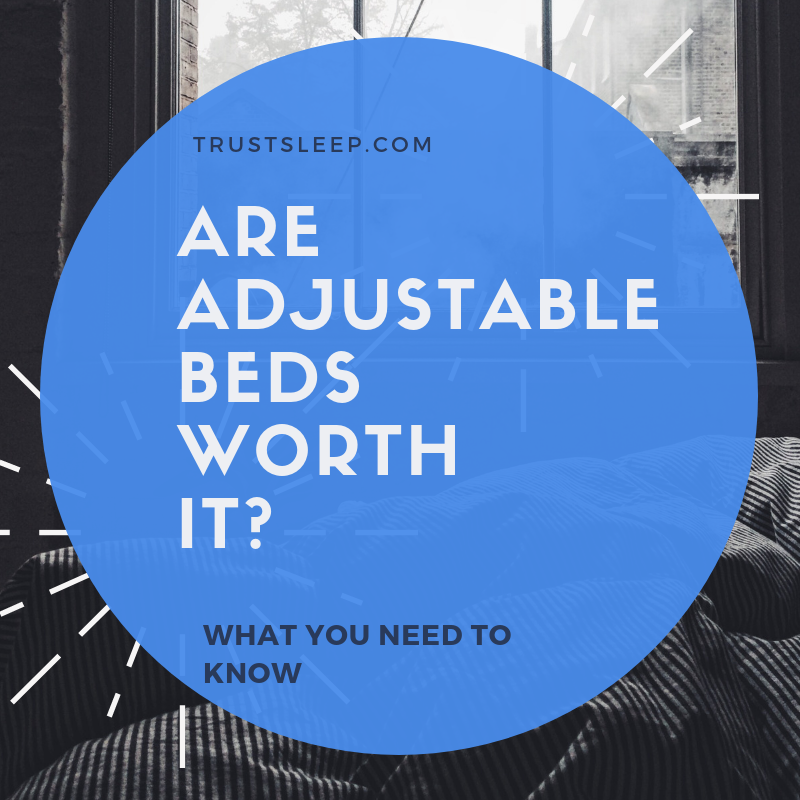 There you have it – our answer to the question “are adjustable beds worth it?” As you can see, there are a ton of great features but also a ton of costs to consider when looking at adjustable beds. We think it is up to every individual and every persons’ individual needs to decide whether or not an adjustable bed is right for them. We hope this article has helped make that decision a little bit easier for you.